As the Brand Manager for Virginia Tourism Corporation, Leah works closely with the Brand and Creative teams to maintain the integrity and grow awareness of the Virginia is for Lovers® brand. She oversees production of the annual Virginia Travel Guide, as well as the LOVEworks program, which has inspired the creation of more than 100 giant LOVE signs across the Commonwealth. 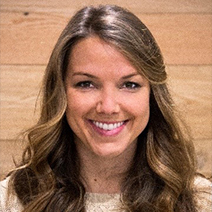 Leah is a life-long Virginia resident and has resided in Richmond since graduating from the University of Kentucky, where she studied Integrated Marketing Communications. She credits previous roles with Richmond Region Tourism and an advertising agency for sparking a love of the tourism industry, in which she has worked for more than six years.